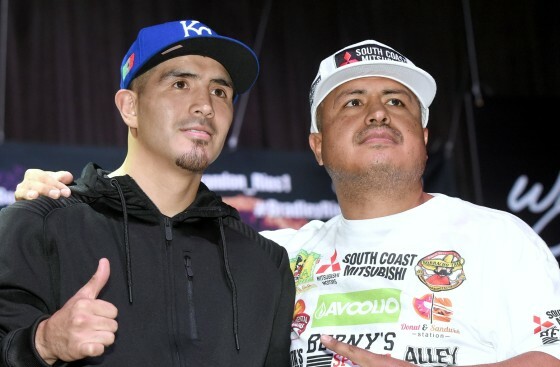 On Saturday night, Nov. 7, Rios announced his retirement from the sport of boxing at 29 years of age following a one-sided 10th round TKO loss to Tim Bradley. Rios was gunning for the WBO welterweight title that his Palm Springs foe holds, but he came up far short on this night. Led by his new trainer Teddy Atlas in his corner, Bradley was sharp and smart throughout the matchup while Rios was painfully sluggish with his attack. Having had to strip down and weigh in twice before making the welterweight limit of 147 pounds on Friday, Rios re-hydrated to 170 pounds by fight night and it appeared to visibly slow him down while in the ring. He was simply unable to track Bradley down and in return copped some flush shots coming in. In the ninth round, a pair of body shots dropped Rios twice to the canvas, as he was unable to continue the second time as referee Tony Weeks waved off the action. Speaking at the post-fight presser conference following the match, Rios believes his career is over. Check below for the full clip, including all of Rios’ thoughts.